Sauce or gravy? For Italian-Americans this innocent question can cause outright squabble. But there's no debating just how good it is. Garlic, olive oil, tomatoes and seasoning slow cooked together with pork ribs for mouthwatering flavor and incredible aroma. 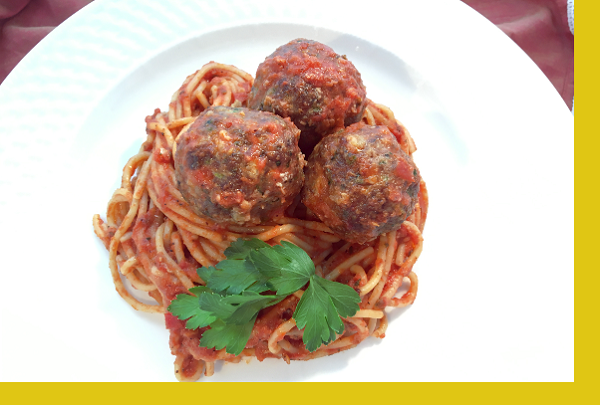 Spiked with meatballs over spaghetti and you have a glimpse of what generations of Italian Americans have experienced. Mangia mangia! Meatballs: Preheat the oven to 350F. Spray supplied pan, place meatballs in pan and bake uncovered for 20 minutes. Pasta: Bring water to a boil. Add salt to taste. Add pasta to boiling water. For “al dente”, boil for 9 minutes. For more tender pasta, add another minute. Drain well, toss with a drizzle of oil to prevent stickiness. Gravy: Bring gravy to a boil in a sauce pan then simmer. This meal was five stars! The meatballs were delicious and easy to prepare and the sauce was spot on. 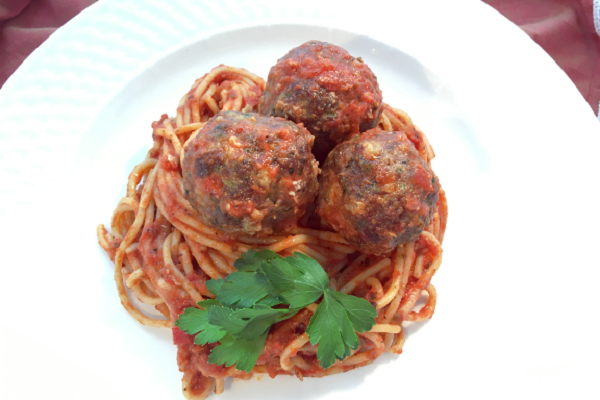 My kids love my homemade spaghetti and meatballs but they said they liked Maria's even better!